The Rosalind Franklin Institute has appointed one of the UK’s top business leaders to be its first Chair. Dr. Vivienne Cox will lead the Board of the new national institute dedicated to bringing about transformative changes in life science through interdisciplinary research and technology development. An experienced chairman and non-executive director in FTSE 100 companies, Vivienne has wide experience of creating and growing new businesses. Vivienne worked for BP plc for 28 years, in Britain and continental Europe, in posts including Executive Vice President and Chief Executive of BP’s gas, power and renewable business and its alternative energy unit. She also has a deep understanding of government, having been the Lead Independent Director of the UK Government’s Department for International Development (DFID) for seven years. A chemistry graduate with a passion for people and collaborative, interdisciplinary, ways of working, she will lead the development of the RFI Board – getting the right people in place, articulating a clear vision for the Institute, and establishing a strong strategic framework. “Collaboration across disciplines, as well as between academia and industry, is critical to successful innovation. It is something the Engineering and Physical Sciences Research Council, as part of UK Research and Innovation, strongly encourages. Dr Vivienne Cox has an outstanding track record of leading multidisciplinary organisations and I welcome her appointment to this role”. Vivienne studied Chemistry at the University of Oxford then went on to a year’s research in Materials Science, before joining BP in the BP Chemicals business. During her 28-year career at BP, Vivienne was regularly listed in Fortune magazine’s ‘World’s 50 Most Powerful Women in Business’ and won the Veuve Cliquot Business Woman of the Year award in 2007. Vivienne left BP in 2009 after leading BP’s Alternative Energy business which focused on wind, solar, biofuels and Carbon Capture and Storage (CCS) technologies as well as investing in new technology through a venturing unit. 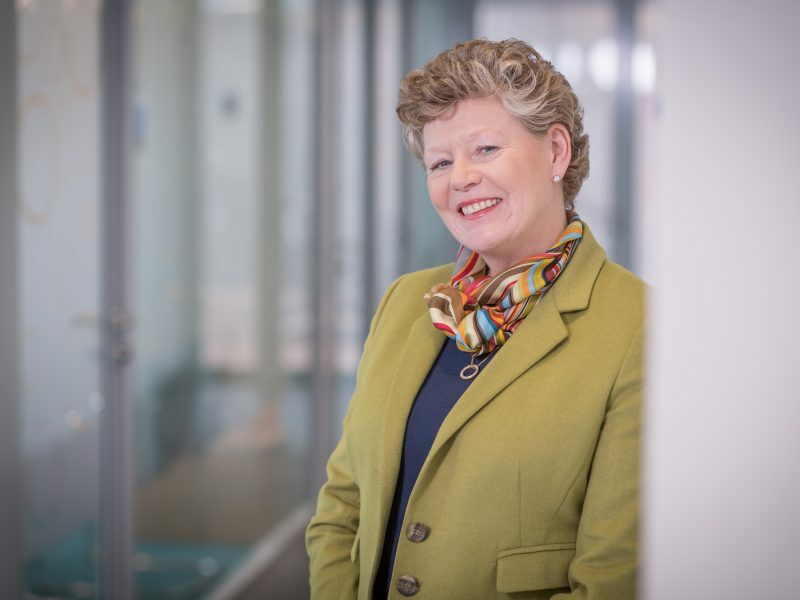 Vivienne is currently a Non-Executive Director of GSK, Senior Independent Director of Pearson plc, a Non-Executive Director of Stena AB and Chairman of the Supervisory Board of Vallourec, a supplier to the energy industry. She was appointed Commander of the Order of the British Empire (CBE) in the 2016 New Year Honours for services to the UK Economy and Sustainability.